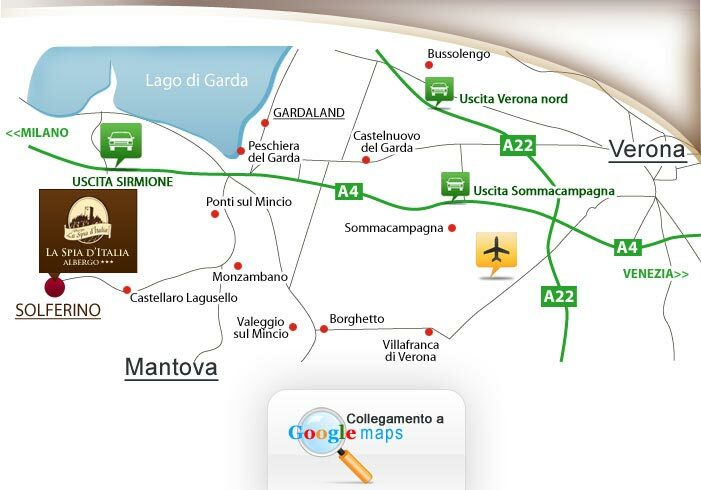 The Hotel La Spiad'Italia is very close to Lake Garda and to the airports of Verona and Brescia. For guests reaching us by Highway (A4 Milan-Venice), the recommended exit is Sirmione, just 10 minutes on road from our Hotel. I consent to Albergo La Spia d'Italia processing my personal data in accordance with Legislative Decree 196/2003.